WordPress comes with its own user management system which allows you to easily add and edit users from the wp-admin. 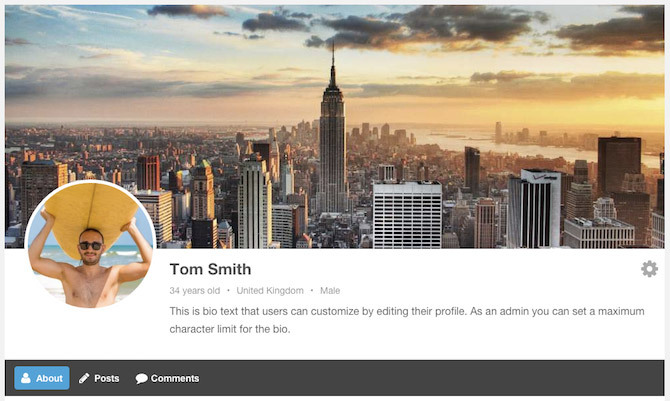 It even provides each user with their own profile where they can edit their details. However, whilst the default user management system may be fine for multi-author sites where each user needs to access the dashboard, it is not a great solution if you don’t want users to be able to access the wp-admin or even know they are using a WordPress site. If that’s the case then you’ll want to use a plugin that allows users to manage and edit their profiles from the front-end of your site. Luckily Ultimate Member makes adding user profiles to the front-end of your site an absolute breeze. All you have to do is install and activate the plugin and it will automatically create a user page where users can view and edit their profile. 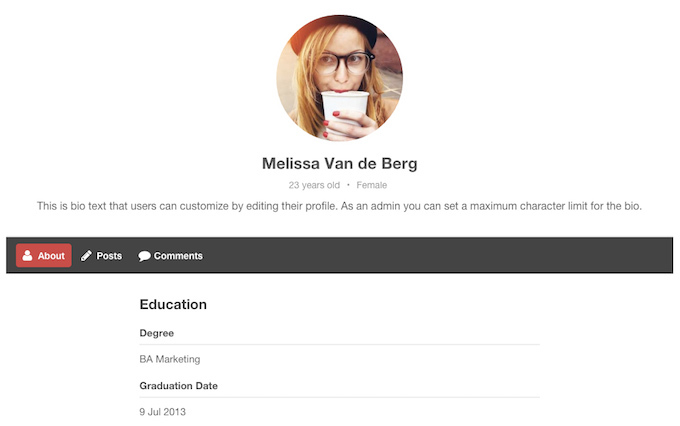 You can even add custom fields to your profiles so you can collect any type of information from users. The profiles are highly customizable which will allow you to create a unique look for your site. 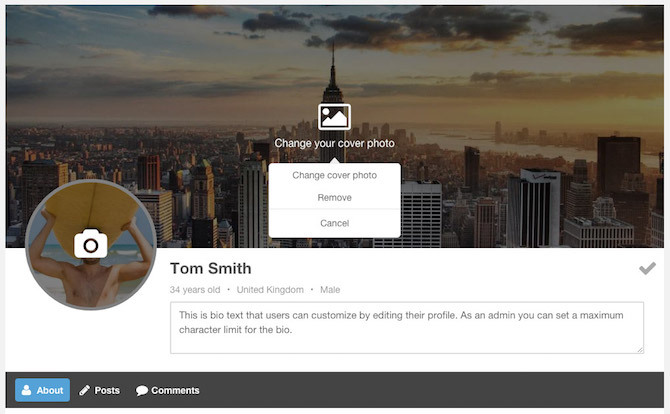 You can customize most aspects of the profiles including: turning on/off cover photos; selecting the shape of the profile photo (circle, rounded or square); changing the size of the profile photo; turning on/off user bio; changing the styling/colors of the profile and much more. Ultimate Member offers a lot more than just user profiles and is actually a complete front-end solution for users. With our plugin you can create user roles, add registration and login forms to your site, allow users to find each other through a member directory with advanced search options; restrict content and much more.